does someone knows how can I download all receipts uploaded? I can export a report with an individual link for each receipts, but I would like to download them in a bulk. is this possible? Hi @Edo, you may find the below articles from our Help Center useful! @bbos and @Edo, if you want to download the image file, it can be done in two ways. This can take quite a while if you have dozens or hundreds of receipts so we have another option as well. If you use the CSV export option, you can build a template using the below formula, which exports a direct download link for the receipt. This means you can export your receipts and download the receipt image from the CSV file. In the spreadsheet, you can select the url and the receipt will open for download. This may be the better option if you have a lot of receipts to download, but you should use the method that fits your needs best. 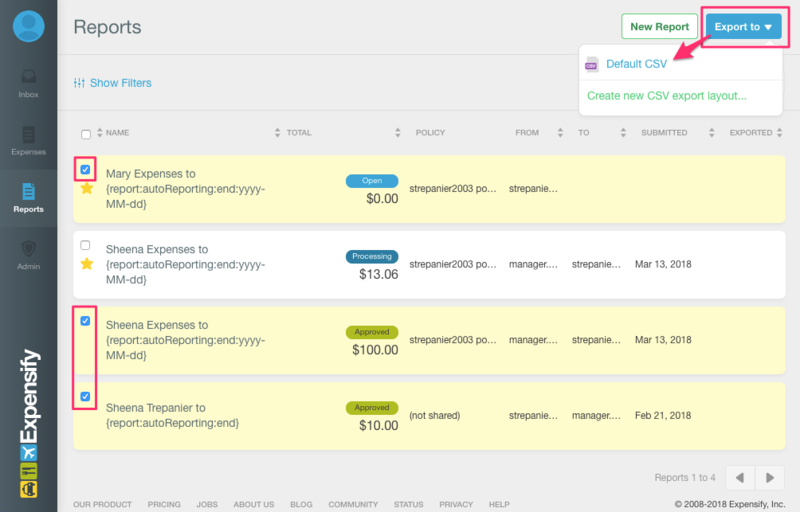 Hi @Edo - you can download multiple reports with the individual expense and receipt link. Is that what you are trying to do? It sounds like @Edo wants the actual receipts. I have been searching for this answer also. I asked my wife to scan all her receipts (it is her first time). When I got home I discovered I had accidentally left her phone signed in to a test account I played with. It looks like I am faced with exporting each individually and uploading individually. Thanks for the tip @Sheena Trepanier. From there you could use grep and curl (or Windows DOS or Powershell equivalents) to DL them all. WIthout knowing this I followed the first method and DL each one manually. There was only 150 so not too bad. 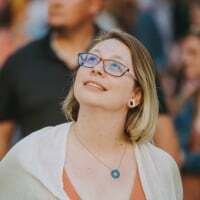 Thinking about this @Sheena Trepanier, I guess the csv export method also has a coresponding import method that will import all listed fields and the image. Would that be correct? That offers real advantages. Hi @bbos the CSV import method does not import the images, but it will auto-match. So if you import a CSV then drag & drop the saved receipt images into the browser window, it should in theory match all the images to the expenses once the SmartScanning has finished. Thanks @RachCHopkins that should be ok. However smart scanning is not 100%. What happens when it doesn't work? Expensify needs a 'sort by import date' on expenses so you have a chance of finding issues that might occur. 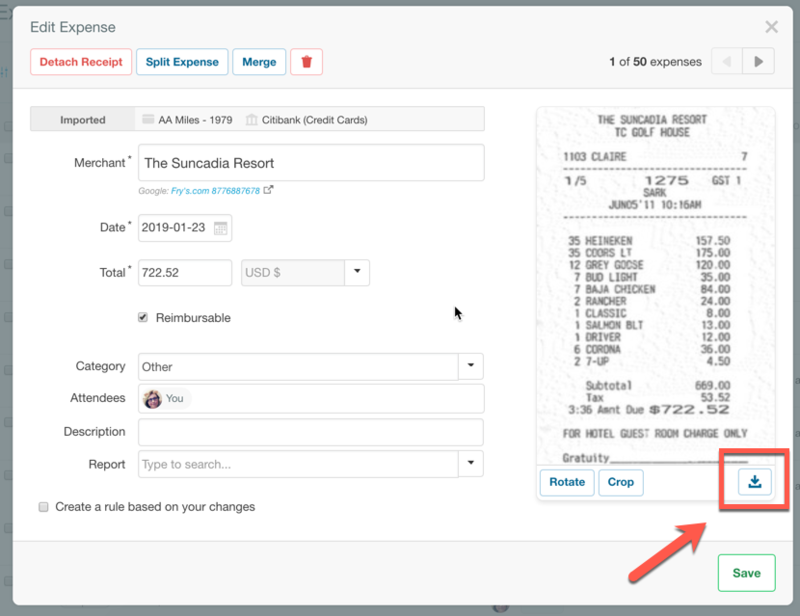 Hi bbos, if the SmartScan is incorrect, the expenses won't match and merge, so you can filter by 'Receipts' and look for 'cash' icons to do a quick check for unmerged receipts. You can then select only the 'cash' expenses and export excel to create a follow-up list.